Hamptons International, the region’s leading real estate company, has commenced the sales of the residential apartments The Residences Jumeirah Dubai, Managed by The Address and The Address Residences Jumeirah Resort + Spa. 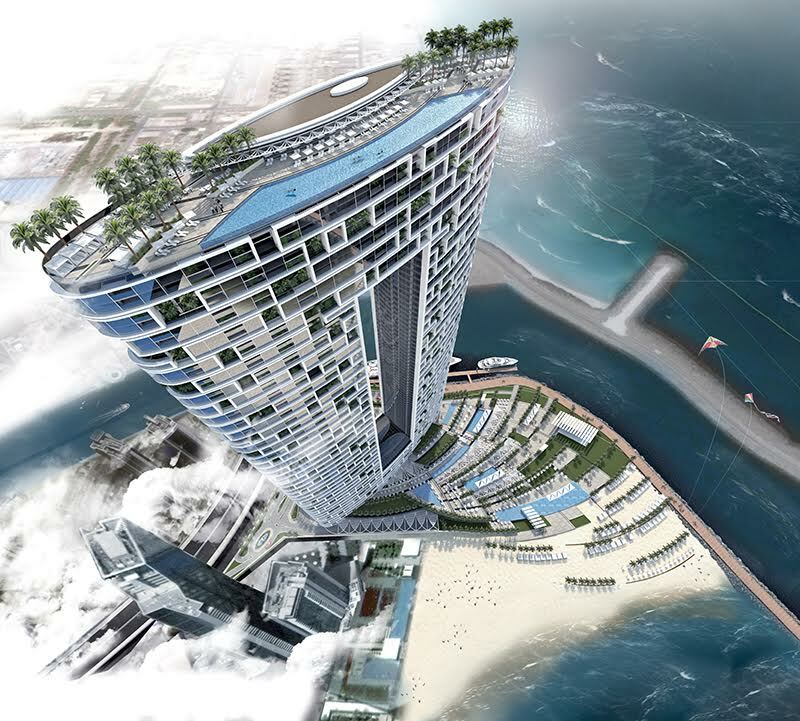 It is the first opportunity for customers to buy freehold homes located in the tallest tower on the beach, in the last available land plot for development on Jumeirah Beach Walk. Set apart by its spectacular location, with 360 degree views of the Arabian Gulf, Dubai Marina and Ain Dubai (the world’s largest Ferris wheel), The Residences Jumeirah Dubai, Managed by The Address is situated in the East Tower rising over 303 meters high, with an impressive infinity pool on the 75th floor. A welcoming lobby links it to a second similar tower (West Tower) featuring The Address Jumeirah Resort + Spa hotel comprising 183 hotel rooms and suites, and The Address Residences Jumeirah Resort + Spa, with serviced apartments fully served by The Address Hotels + Resorts, the flagship hotel brand of Emaar Hospitality Group. Hamptons International is the exclusive sales and marketing agent for The Address Residences Jumeirah Resort + Spa, the first The Address property on the beach in Dubai, and The Residences Jumeirah Dubai, Managed by The Address. The residences are inspired by a ‘La Dolce Vita’ themed interior, and all units have distinctive spaces for working, grooming, relaxing and refreshing in addition to offering spectacular views of its surroundings. The luxury apartments have high-quality fixtures, state-of-the-art entertainment and telecom connectivity. Residents will also have access to more than 100 metres of exclusive beach frontage, and several food & beverage concepts within The Address Jumeirah Resort + Spa including the lounge at the top level and a signature Sky Restaurant. Those interested in owning their home in this iconic tower, can visit the official Sales Office located in The Address Dubai Marina hotel on the second floor where they can explore the project’s 3D models, or visit one of the Hamptons International offices located in Downtown Dubai, Emaar Business Park or Dubai Marina Walk. Customers can choose from 1 to 5-bedroom luxury residences ranging in size from 650 sq ft to 4,300 sq ft. Easy payment plan will be offered with a dedicated team of Hamptons property experts to guide the customers through the entire process. Customers can also visit the dedicated promotional stand set up by Hamptons at The Beach Walk, close to Reel Cinemas at The Beach to gain more information on the project and also register their interest.